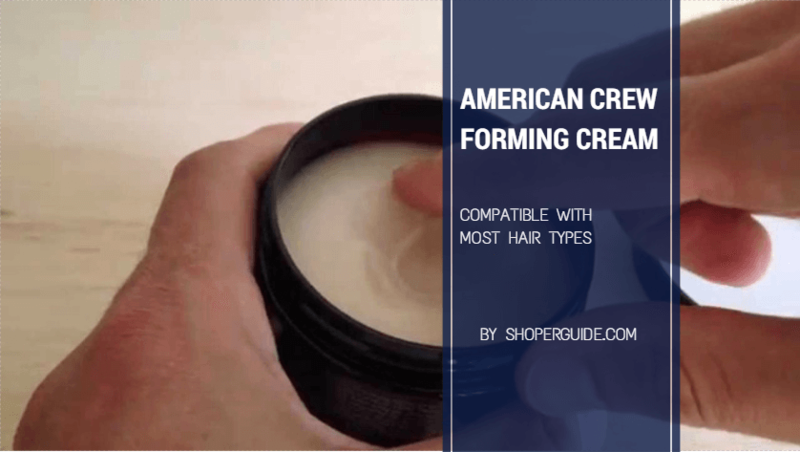 The American crew forming cream review is all you need to know about the wonderful cream that play a major role in styling your hair to your desired taste. The cream will enable you to style and give your hair the look you want while leaving you pliable. It leaves your hair to a matte finish, shining with a natural glow and not the ones done with fake products. The American Crew Forming Cream is a non-toxic and easy to use the cream that is compatible with most hair types. The lanolin wax and glycerin which are some of the ingredients which the cream is made to offers stronghold and thickness to the whole hair. The American crew forming cream is made of ingredients such as Water (Aqua) (Eau), Petrolatum, Cetearyl Alcohol, Bis-Diglyceryl Polyacyladipate-2, Lanolin Wax (Lanolin Cera) (Cire de lanoline), PVP, Propylene Glycol,Copernicia Cerifera (Carnauba) Wax (Cera Carnauba) (Cire de carnauba),Ceteareth-25, VP/VA Copolymer, Paraffinum Liquidum, Ozokerite, Diethylhexyl Malate, PEG-40 Castor Oil, Alcohol Denat. PEG-10 Soy Sterol, Sucrose, Cereus Grandiflorus (Cactus) Flower Extract (Cactus), Glycerin, Fragrance (Parfum), Alpha-Isomethyl Ionone, Benzyl Benzoate, Benzyl Cinnamate, Benzyl Salicylate, Butylphenyl Methyl-propional, Coumarin, Citral, Citronellol, Geraniol, Hexyl Cinnamal, Hydroxycitronellal, Hydroxyisohexyl 3-Cyclohexene Carboxaldehyde, Limonene, Linalool,Methylparaben, Ethylparaben, Propylparaben, Butylparaben, Isobutylparaben, Phenoxyethanol. This looks so much and populated by organic compounds. 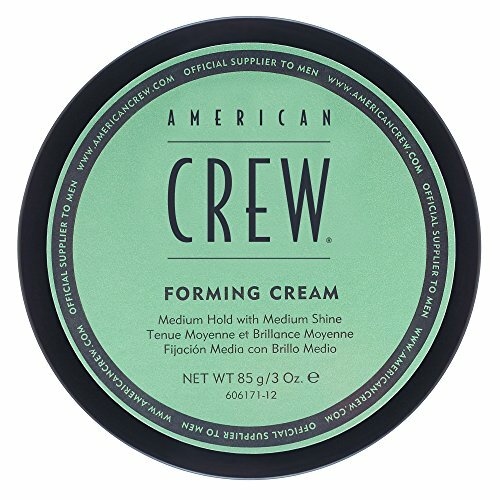 American Crew Forming Cream is produced in a large jug to allow you easily have your hand in it to scoop some and use on your hair. The jug comes in brown color and a touch of pink color. The cream inside the jug doesn’t have irritating smell but a good one that appears to be too feminine. Well, I think the idea is to attract girls with it, that’s on a lighter mode. The scent isn’t much of an issue as it doesn’t irritate and gives a disgusting scent that turns one off. It is advisable that you use the cream on damp hair. Wash your hair and keep it off dirt, then apply the scooped cream starting with the side and back of your head and then extend your hand to the middle. Ensure the cream is evenly distributed. The cream will make it easy to manipulate your hair the way you want a different style. You can give yourself different look or appearance with the use of the cream to turn your hair whichever way it pleases you. It keeps the hair glowing all through the day so you can have a style in the morning, change to another at noon and when at night before bedtime, you can choose to wash off. You can leave without washing but on the off chance you intend washing before bedtime, I suggest you wash with shampoo and do not leave any residue behind. Take note: The best way to dry your hair is through dryer and not towel. Q: Can I wash alone with water? Q: Does this cream cause hair to break? Q: Can I use it daily and does it has any adverse effect on my hair? Q: Does it makes your hair look greasy or wet? Q: When is the right time to apply it? A: it is best applied after showering and you must ensure your hair is air dried before using it. The style of your hair add more to your whole appearance which is why every man out there who takes pride in their hair should consider reading this American crew forming cream review to make the right choice and give their hair the best treat needed to stay healthy.